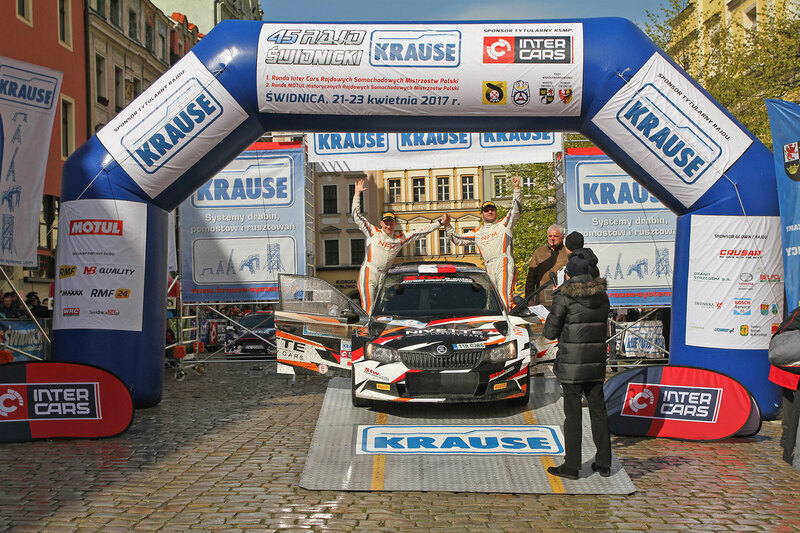 Filip Nivette got his Polish Rally Championship (RSMP) challenge off to the best possible start with victory in the opening round of the 2017 season, the Rajd Świdnicki (21st to 23rd April). Nivette, who - alongside co-driver Kamil Heller - was driving a FABIA R5 prepared and run by Kresta Racing, enjoyed an early battle for the lead with Zbigniew Gabryś, before eight wins in the final nine special stages saw them ease to victory by a margin of 38.9 seconds. 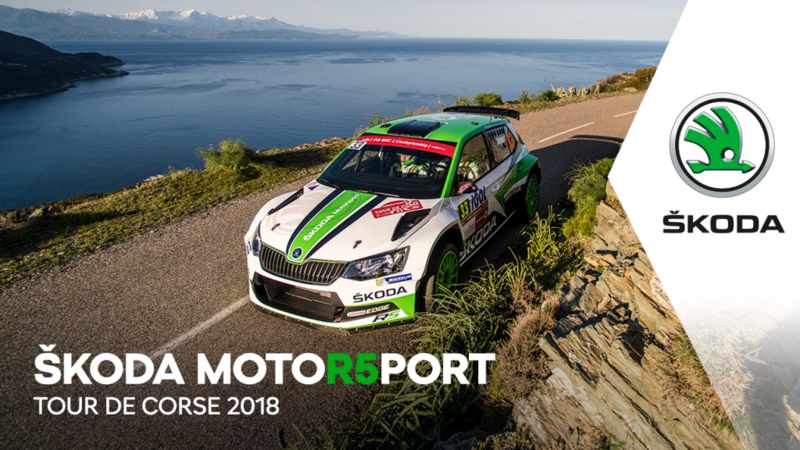 Nivette’s win sees him lead the championship standings at this early stage, but his result was not the only positive one for a FABIA R5 driver, with two more cars finishing inside the top 5. 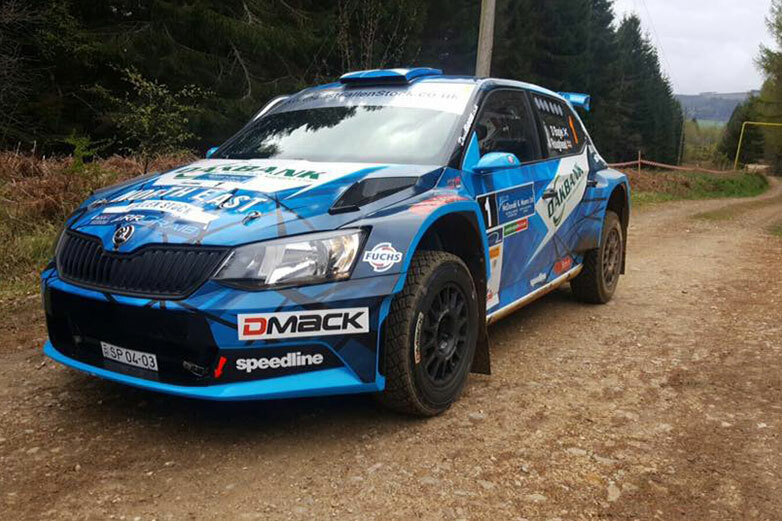 Marcin Gagacki / Marcin Bilski finished in fourth spot for the Oponeo Motorsport team and just behind them in fifth position were the Lithuanian duo of Dominykas Butvilas and Renatas Vaitkevičius (Auto Partner Rally Team). 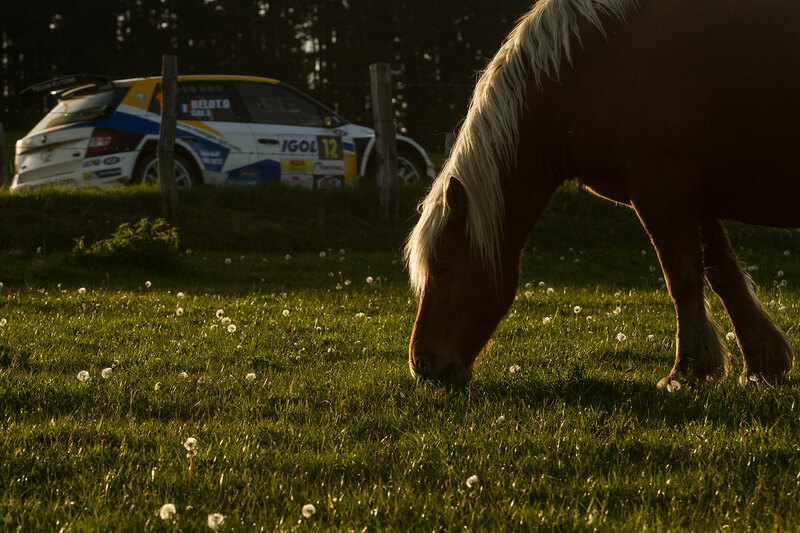 The next round of the Polish Rally Championship will be the Rajd Gdańsk from the 26th to 28th May. 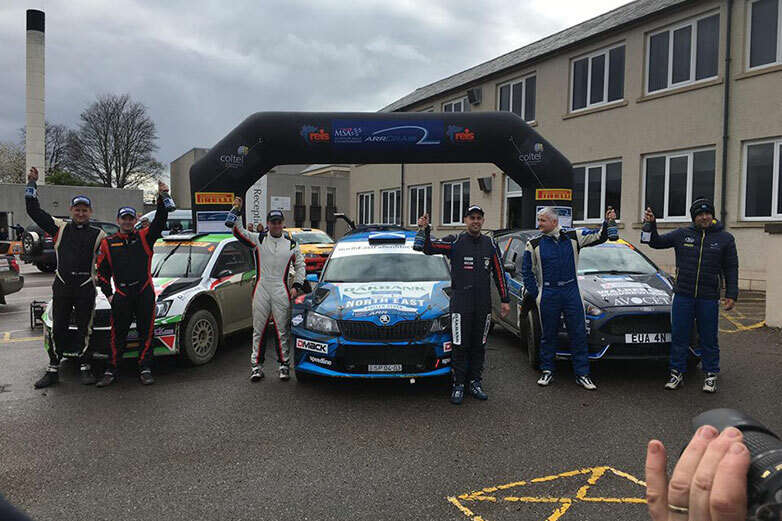 There was a ŠKODA ‘one-two’ result at the Speyside Stages Rally (22nd April), the third round of the Scottish Rally Championship, after David Bogie won this event for a record-breaking eighth time. 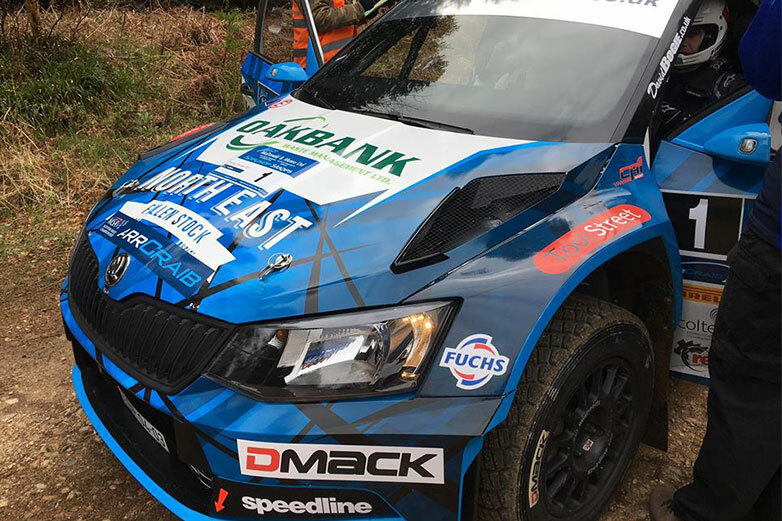 Bogie was taking part in preparation for the next round of the British Rally Championship (MSA BRC) and enjoyed great success at an event he knows well, despite the absence of his regular co-driver Kevin Rae, who was unavailable. It was Andrew Roughead who stepped in and helped Bogie steer his FABIA R5 to victory by a margin of more than 40 seconds. Desi Henry and co-driver Liam Moynihan were also using the event as preparation for the next round of the British championship and gave another good account of themselves to finish second overall despite enduring more than their fair share of misfortune over the ten forest stage event. The next round of the 2017 British Rally Championship, the Pirelli International Rally, takes place this weekend (29th and 30th April) in Carlisle. 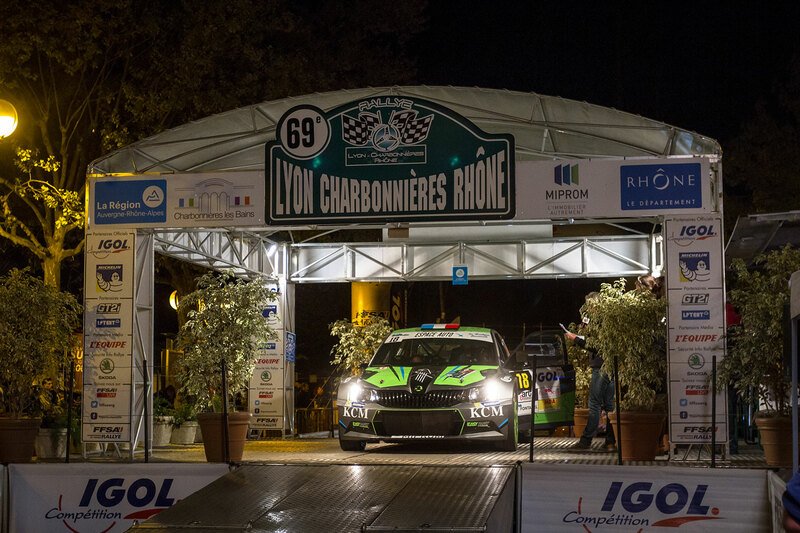 The Rallye Lyon-Charbonnières – Rhône (21st and 22nd April), which was the second round of the 2017 French Tarmac Rally Championship (CFR) proved to be another step in the promising career of Vincent Dubert. 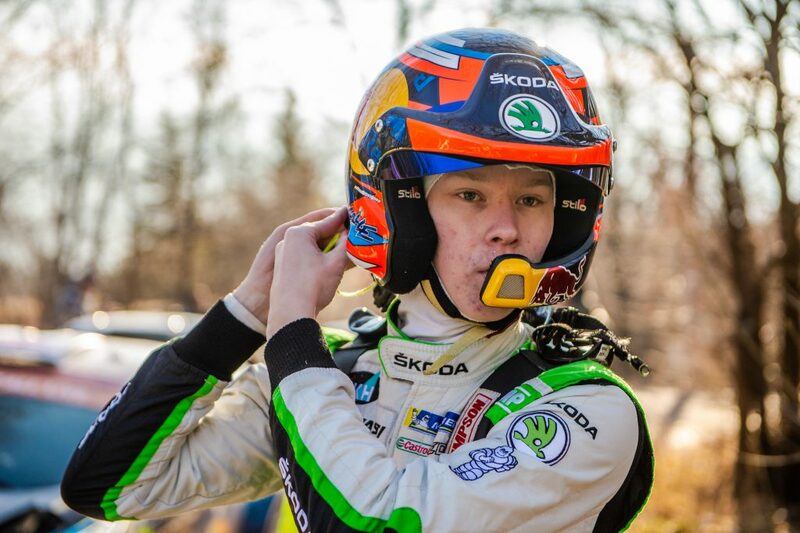 The 24-year-old Frenchman finished third in the Junior World Rally Championship (JWRC) last year and has made a strong start to his first season in the R5 class too. 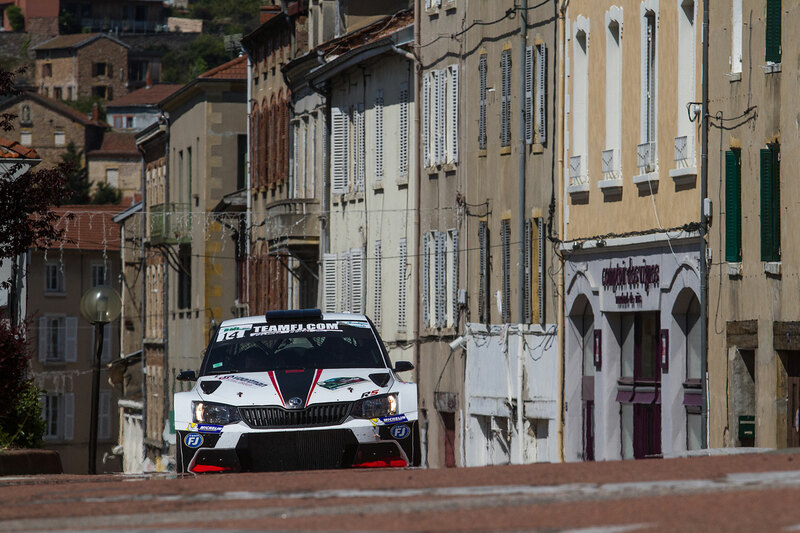 In a FABIA R5 of the Team FJ and alongside co-driver Alexandre Coria, he finished fifth overall at the Rallye Le Touquet in the opening round of this championship and followed that up with a fifth place in the R5 class and eighth overall at the Rallye Lyon-Charbonnières – Rhône last weekend. The result means Dubert is currently fourth in the overall championship standings and leads the classification of the Michelin Trophy which is a competition for amateur drivers in non-WRC category cars. Dubert’s teammates Ludovic Gal / Olivier Belot finished in tenth place overall and seventh in the R5 class at the ‘Charbo’. 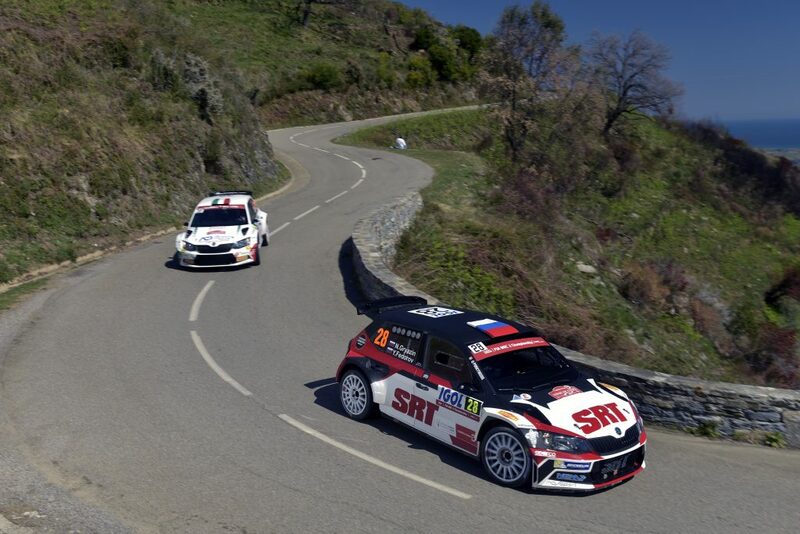 The third round of the French Tarmac Rally Championship, the Rallye d'Antibes - Côte d'Azur, takes place on 14th and 15th May. 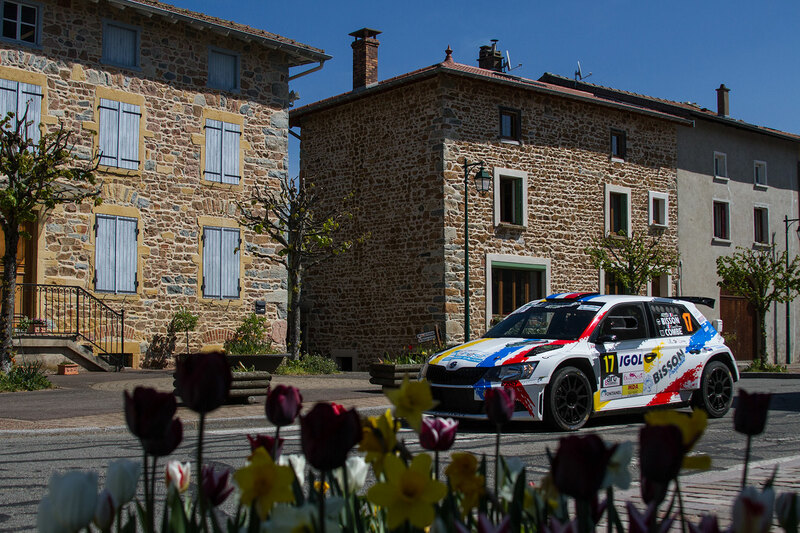 The reigning French Tarmac Rally Champion, Sylvain Michel has announced plans to take part in the FIA ERC Junior Under 28 Championship this season. 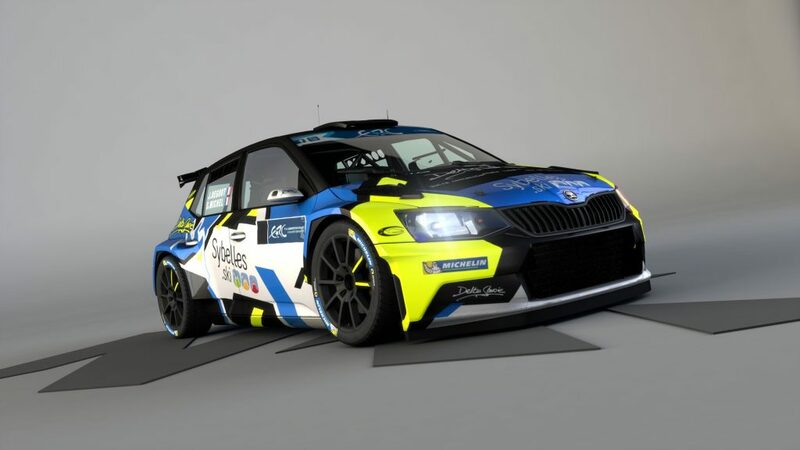 The 25-year old Frenchman, who won his title last year in a FABIA R5 prepared and run by the 2C Compétition team, will make his first 2017 ERC appearance at the Rally Islas Canarias (4th to 6th May). The new competition is designed for young drivers, competing in R5 class vehicles to show their talents, with the prize of a drive in a WRC car on a European round of the 2018 World Championship up for grabs as well as the title itself. The best scores from four of the six events are counted towards the overall standings. 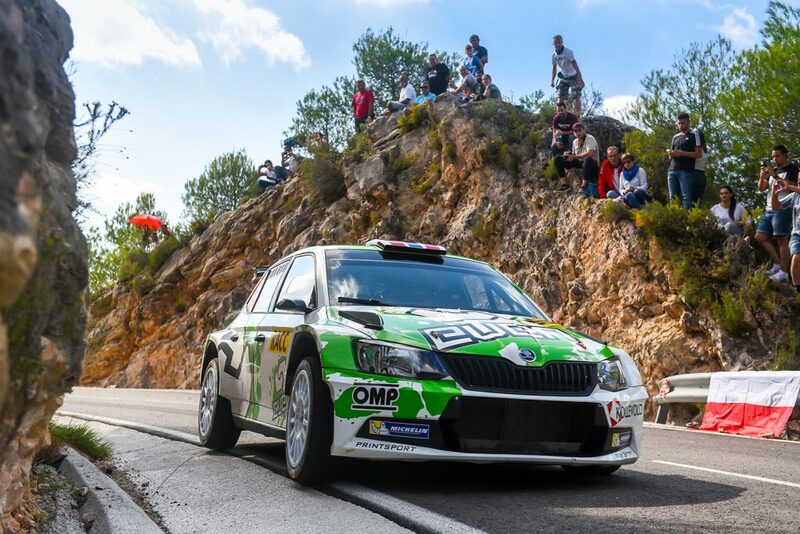 Michel is the latest of a number of FABIA R5 drivers to sign up for the ERC Junior U28 championship. 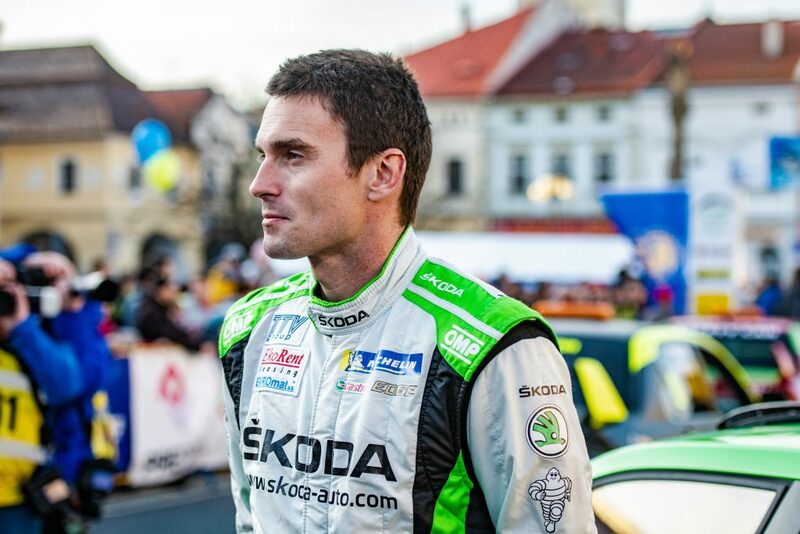 The German Marijan Griebel won the opening round, the Azores Rally, with Russian Nikolay Gryazin, Latvian Ralfs Sirmacis and Czech Jan Černý also scoring points. 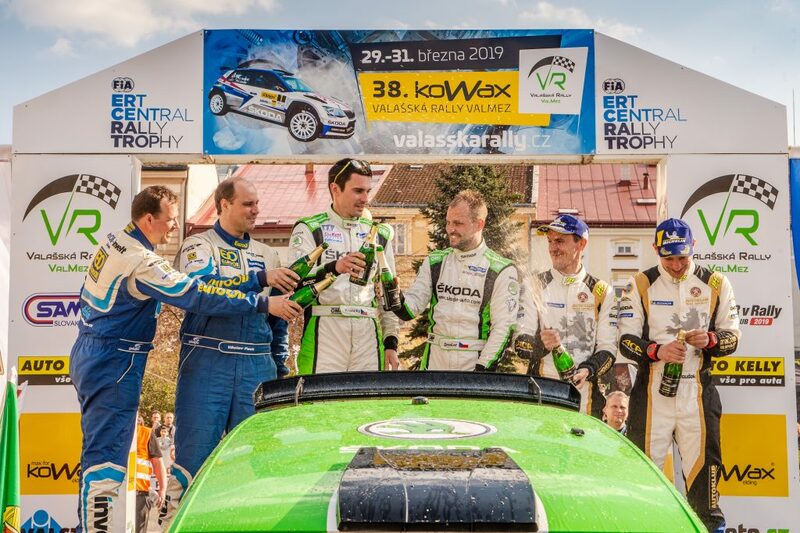 The 2017 Czech Rally Championship (MČR) continued last weekend (21st and 22nd April) with its second round, the Rallye Šumava Klatovy. 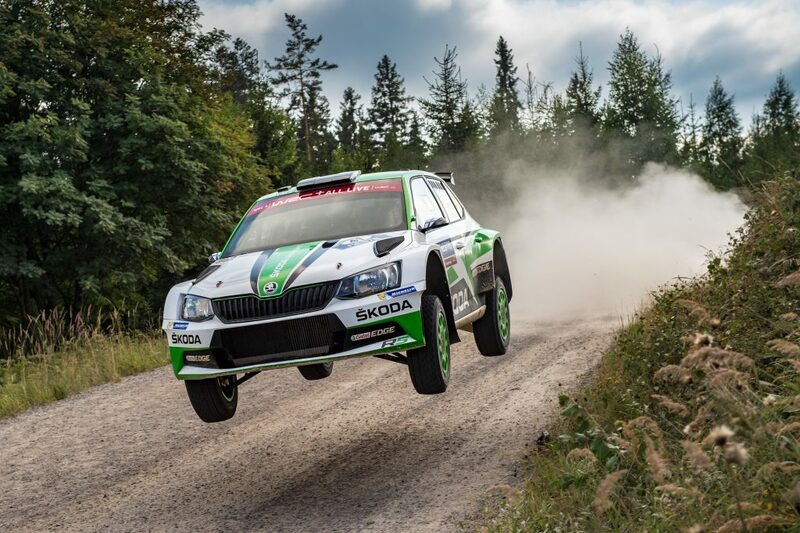 And there was another victory for ŠKODA Motorsport’s crew Jan Kopecký / Pavel Dresler who came home 47.1 seconds ahead of their closest rivals after leading from start to finish and winning 9 of the 14 stages in the process. The result means the Czech duo continue their 100% start to the season. 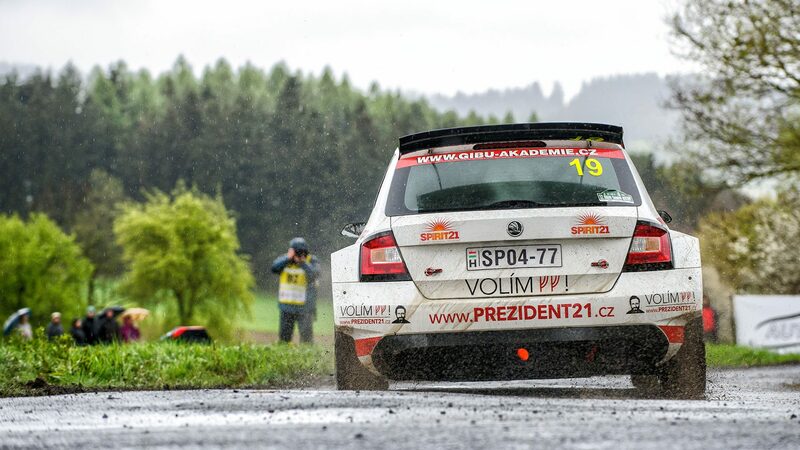 Behind them, the Mogul ŠKODA ACA Racing FABIA R5 of Jan Černý / Petr Černohorský was engaged in a thrilling battle for second position with Václav Pech but ended up coming home in third place. 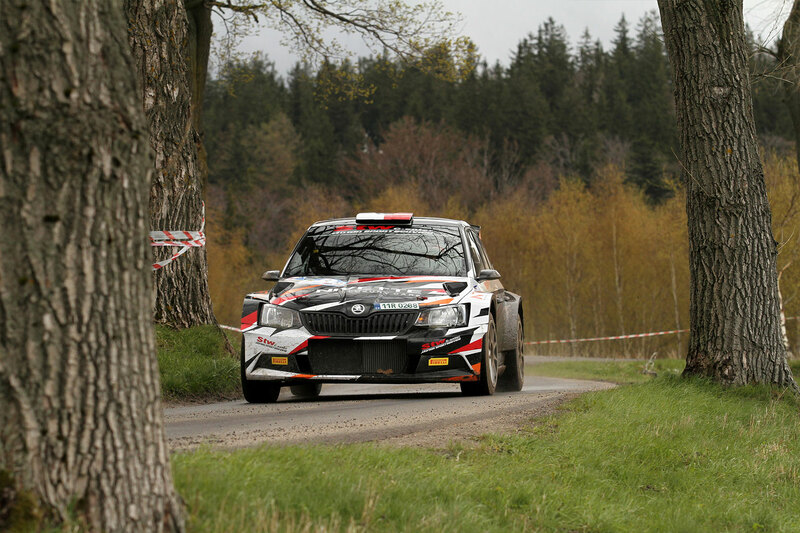 There were also three other ŠKODA’s inside the top 10, with Jaromír Tarabus / Petr Machů finishing sixth in their FABIA S2000, Vojtěch Štajf / František Rajnoha finishing eighth in their FABIA R5 for the Klokočka ŠKODA Czech National Team, and Karel Trněný / Václav Pritzl, driving a FABIA WRC, coming home one place further back in ninth. 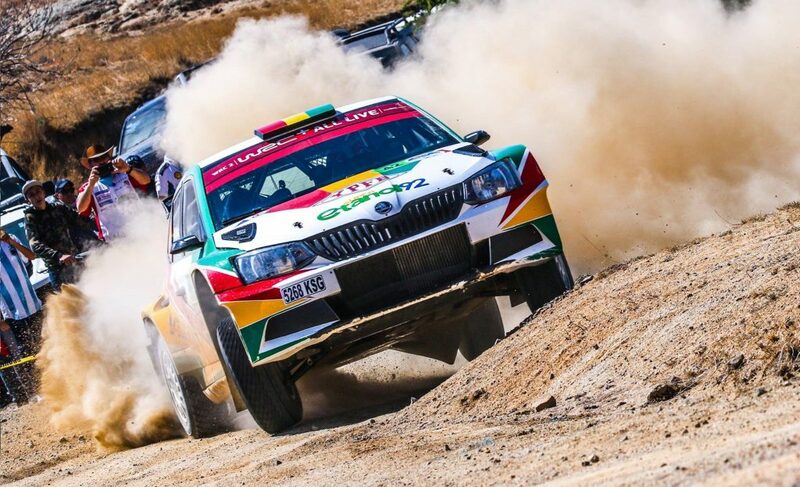 In the fourth round of the Portuguese Rally Championship (CNR), the Rallye Casino de Espinho, the BP Ultimate Vodafone ŠKODA Team pairing of Miguel Barbosa / Miguel Ramalho secured more vital championship points with fourth place finish. Barbosa is only in his second season of rallying and is still learning about asphalt events such as this. “This is the second time I have taken part in this event and I feel we are evolving on asphalt,” said Miguel Barbosa afterwards. “Now I want to focus on the next one, which is the Rally of Portugal, an important event and one I will drive for the first time." 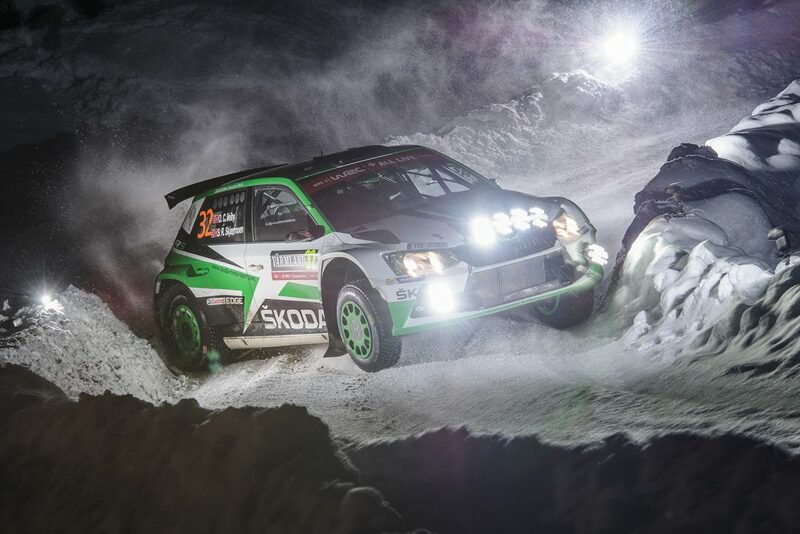 The result means he climbs one place to fourth in the overall championship standings. 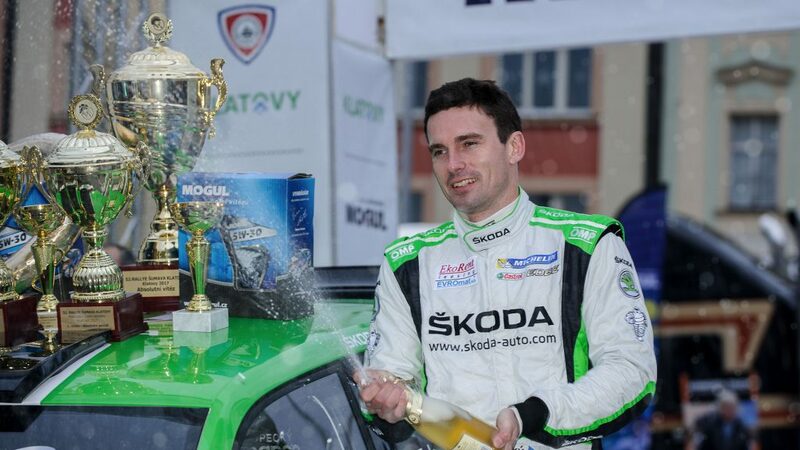 Last weekend’s Ege Rallisi (22nd and 23rd April) was the opening round of the Turkish Rally Championship and saw Burak Cukurova / Vedat Bostanci finish second overall. 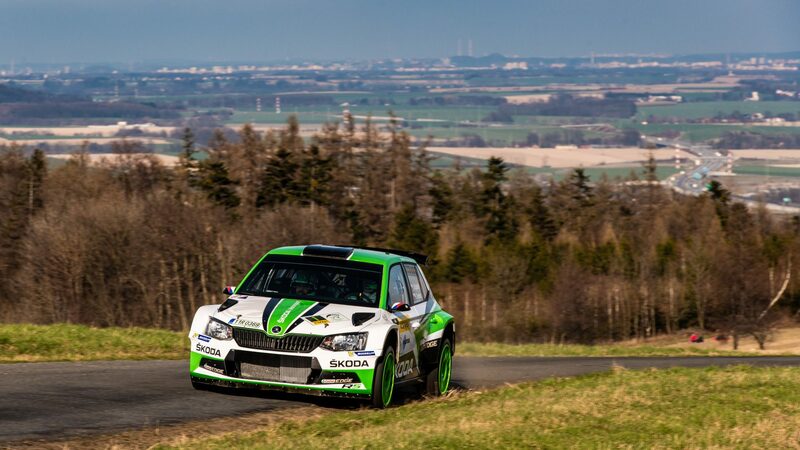 They were driving a FABIA R5 for the BC Vision Motorsport team, which was prepared and run by the Hungarian Topp-Cars Rallye Team. Their teammates Uğur Soylu / Aras Dinçer also finished well in fourth place overall. Anthony Puppo’s astonishing start to the 2017 season in the French Cup continued at the Rallye Régional des Gueules Noires. Alongside co-driver Jérémy Cenci, he won by a margin of 44.8 seconds on the six stage, 37.5km event. It is Puppo’s sixth win in 9 rallies so far this season, and he is yet to finish outside the top 3. 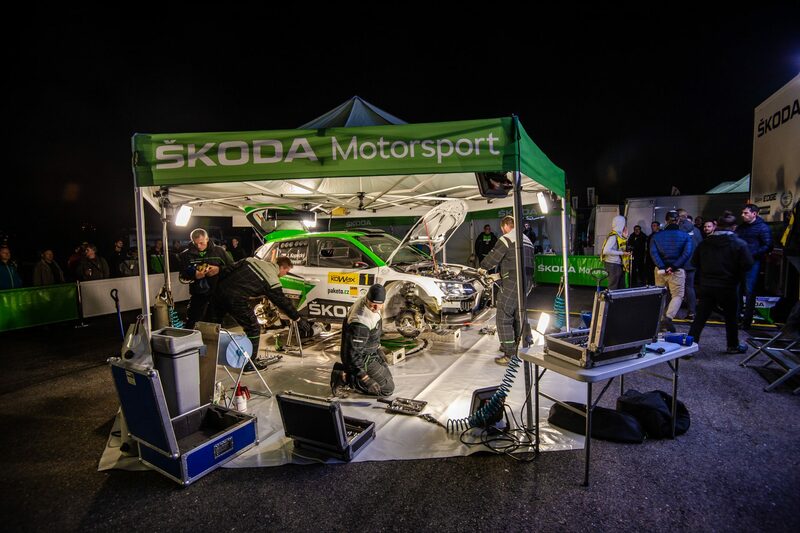 In Italy, at the Rally Prealpi Orobiche, Alessandro Perico / Mauro Turati, driving a FABIA R5 for Team Autoservice Sport A.S.D., won all six special stages en route to victory by a margin on 1 minute and 12 seconds. Meanwhile, Gabriele Tognozzi / Francesco Pinelli won the Rally della Valdinievole by a margin of 36.4 seconds for the Jolly Club team. 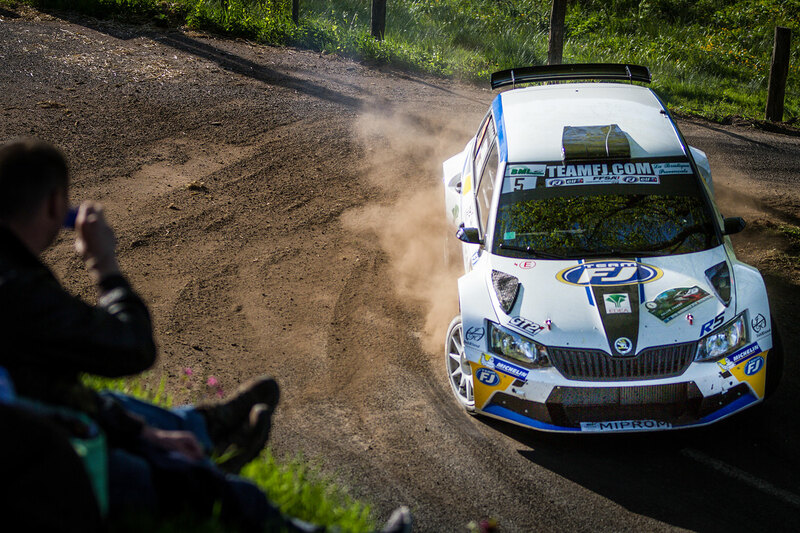 And at the Rally del Tartufo in the Italian Regional Championship (Zone 1), Patrick Gagliasso / Dario Beltramo, driving a FABIA R5 for the Eurospeed team, won three stages and shared victory in a fourth as they claimed victory on their debut drive in the FABIA R5. Joe McGonigle / Ciaran Geaney steered their FABIA R5 to second place overall at the Lark in the Park Rally in North Ireland. 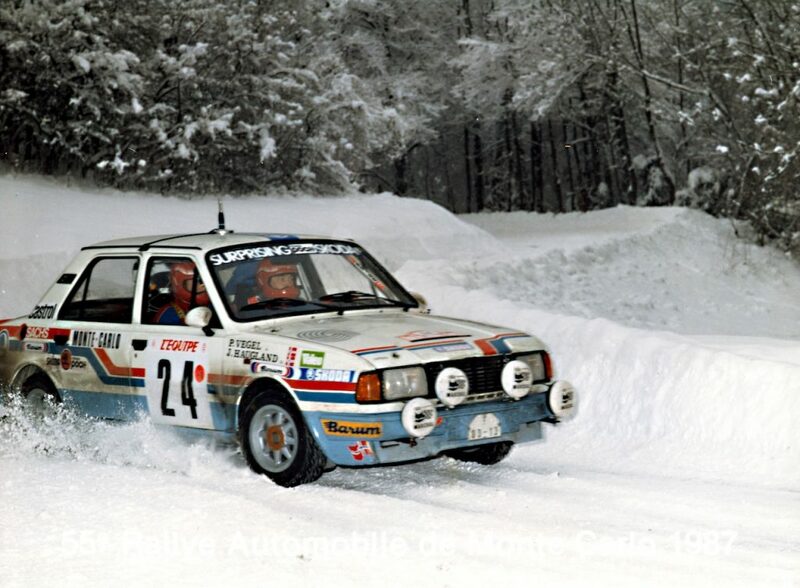 They were just 47 seconds behind the winning car, which was a more powerful WRC-spec vehicle.